The Relentless Reader: Guess Where I'm Going?! Hooray! The Hartling family is heading to Florida! We'll be gone for 6 days and plan on spending 3 of those days at at Universal Studios, home to The Wizarding World of Harry Potter! We're only a little excited. I'm going to soak up as much sunshine as possible and drink as much butterbeer as I can fit in my tummy! While I'm away there will be an all-star cast of bloggers guest posting here at The Relentless Reader. Stay tuned for the awesomeness! Wooooo! Can't wait to hear all about it! Have fun! Oh my God - this sounds amazing. I'm so jealous! Have an amazing time! I'm jealous! Have a blast!!! Enjoy your time in Florida! It's nice and warm there, I'm sure. Have fun at Universal Studios - I love it there! The butter beer is delicious. So fun! I think that would be my daughter's dream come true. We're already planning all the Harry Potter sites we're going to visit when we're in London in May. So lucky! Have fun! I've always wanted to take a vacation in the middle of a school year! I went there a few years ago.. it was AMAZING! I'm planning to go this summer. I look forward to hearing all about it. Hopefully you'll be able to give me a few hints on what to see and what to avoid. Enjoy! I'm so jealous! 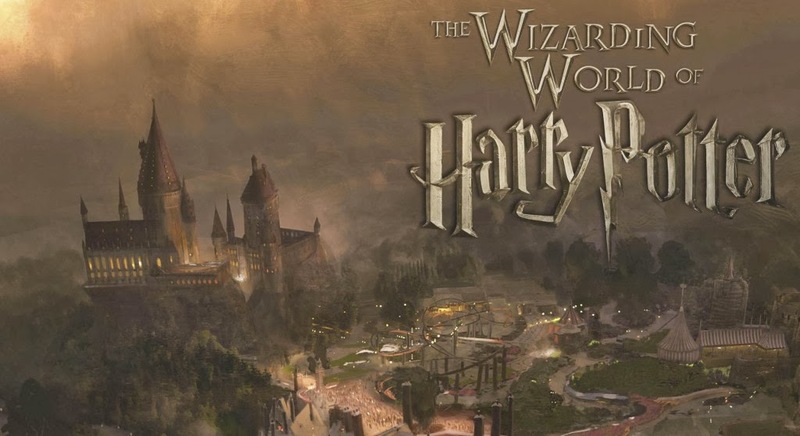 The boyfriend wants to go to Disney (I've never been), but I've agreed we can someday go IF we can visit the wizarding world. Enjoy that butterbeer, lady! I've never been to Disney, but some warm sunshine and drinks with umbrellas in them sound good! (I'll pass on the butterbeer!) Have a great time! Wow, how exciting! I hope you have a great time! OMG!! Have fun, and please share pictures when you get back!! Someday, I will be hitting up the wizarding world myself, with a side of butterbeer or two! !